Wow. 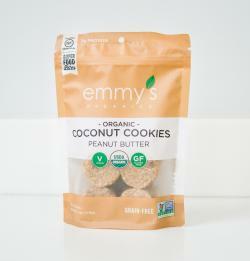 That is the word that comes to mind when I think of the best way to describe the Emmy's Organics line of coconut cookies. They are absolutely delicious. Plus, they are made with clean ingredients and can fit within just about any eating plan. Full disclosure - I love coconut. If you don't like coconut, you will not like these cookies. However, if you do like it, chances are that you will fall in love with them. I know I did. As someone who limits sugar consumption for health and weight management reasons, I am always on the lookout for new packaged snacks (and recipes) that are healthy and great-tasting. That's exactly what Emmy's Organics provides - and more. The company provided me with a selection of flavors to try for the purposes of this review, and all I can say is that I was blown away by how great these cookies are. I received four six-ounce bags in varying flavors (peanut butter, vanilla bean, dark cacao, and lemon ginger) at no cost to review. The opinions shared here are my own. Each flavor that I tried is delicious in a different way, as the flavors are very distinct from one another. I can't really pinpoint a favorite flavor, as I loved every variety of these chewy and satisfying cookies. What I probably shouldn't admit is that I ate all four bags in less than 48 hours. But, I did - so I may as well own it. Two additional flavors are available: raspberry and chocolate chip. I will be making a purchase soon so that I can try those varieties as well. However, I will be ordering bags with smaller portions this time, to try to stop myself from over-doing it. The six-ounce bags have nine cookies each, but you can purchase two ounce bags that have three cookies each (that's what I plan to order), as well as single-packs. These cookies do not contain any artificial coloring or flavors, and are USDA-certified as organic and are also Non-GMO Project verified. They are also vegan, gluten-free, soy-free, grain-free, dairy-free and raw. These cookies range from five to six grams of sugar and six grams of net carbs (total carbs less fiber) per serving. 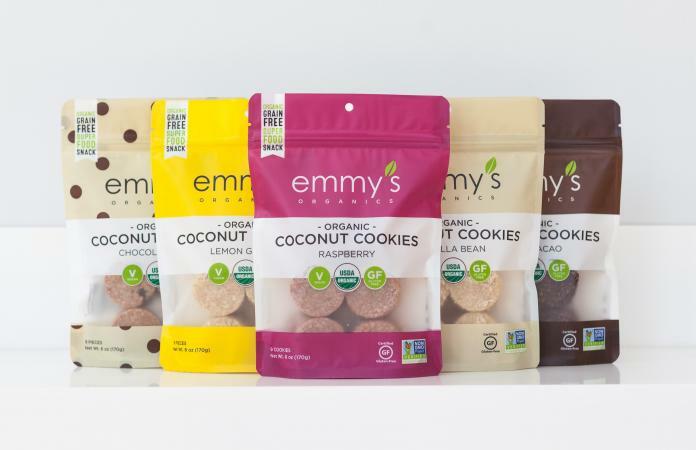 Therefore, Emmy's Organics coconut cookies are appropriate for people who are vegan or vegetarian, as well as those who follow a gluten-free diet, the paleo way of eating, or a carbohydrate controlled diet that allows for moderate carb consumption. Note: They do contain almonds, and are made in a facility that processes peanuts, tree nuts, and seeds. These great cookies can be purchased throughout the United States, Canada, Mexico and the United Kingdom. Visit the store locator on the company's website and enter your zip code to find out where you can find these awesome cookies locally. In my area, they are available at Starbucks and CVS locations. Alternately, you can order directly from the website. That's what I plan to do!